Whether you prefer something time-honored and traditional or contemporary and modern, we design our arrangements with you in mind. 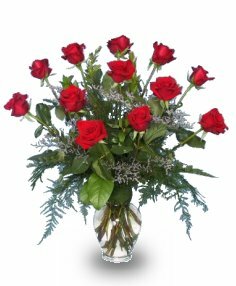 Floral Boutique has been a leading full service florist in the Corpus Christi and surrounding area for many years. We offer same day in town deliveries for orders placed by 3:00 pm. We are conveniently open to serve your floral and gift giving needs Monday through Friday 9:00 am to 6:00 pm and Saturday 10:00 am to 3:00 pm. At Floral Boutique, we will design breathtaking arrangements for all occasions from sympathy, weddings, anniversary, birthdays, get well, congratulations, and just because. Ask about our delicious fruit and gourmet baskets... a great gift idea anytime of year! We offer a vast selection of gift items, silk and dried arrangements, tropical arrangements, orchid plants, and lush green plants. Whether your special occasion is formal or casual… a small gathering or the social event of the year… it’s sure to be a “blooming success” with flowers and on-site decorating by Floral Boutique!